Right to Dream has over 40 graduates playing professionally around the world, but the philosophy is different. “'Today you have seen some guys getting into universities, girls who did not have any hope or dream, going on to become lawyers,” Vernon adds. ''We have seen the other academies come and go- all the stories of how they kick kids out when it doesn't meet their funds anymore but we have made that long term commitment to every kid and you can see with our sponsors and with the growth that we are achieving. Some of the famed graduates from Right To Dream are David Accam [Philadelphia Union], Majeed Waris [Nantes but on loan from FC Porto], King Osei Gyan[formerly of Germinal Beerschot but now retired] and Godsway Glah [Nordsjaelland]. Others are Samuel Mensah of Oesterunds, Manchester City-owned Thomas Agyepong on-loan at Hibernian, Abu Danladi [Minnesota United] and Dallas FC duo Francis Atuahene and Ema Twumasi. 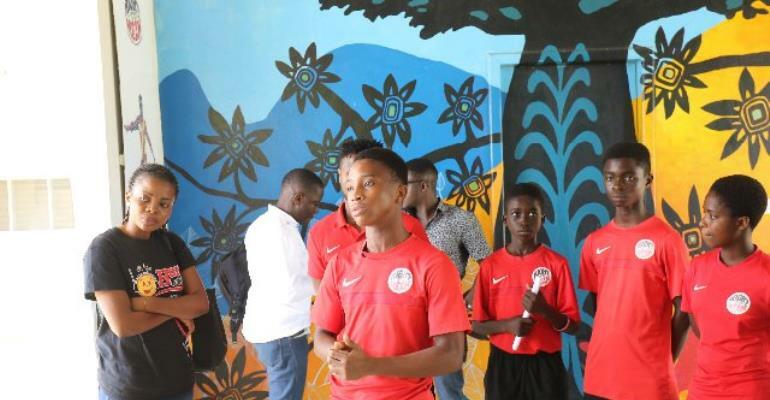 Recently they produced youth internationals Mohammed Kudus and Ibrahim Sadiq who are now with Danish side Nordsjaelland, a club owned by Right To Dream.